In my previous blog, I mentioned how playing a musical instrument can put me in my happy place. I wrote about my first love, the violin when writing my post. While the violin is a beautiful instrument, it is difficult to learn, expensive to buy or rent an instrument, and one cannot sing along while playing. I became interested in the ukulele when my uncle gave me one as a gift, and ever since I started playing, I have found a lot of enjoyment in the ukulele. Unlike the violin, the ukulele has none of the above issues. The ukulele originated in the 19th century as a Hawaiian adaptation of the Portuguese machete, a small guitar-like instrument, which was introduced to Hawaii by Portuguese immigrants. I like to play the ukulele when I am stressed or tired because it does not require hard technical aspects like the violin. It only has four strings, as opposed to a guitar’s six strings, which makes it significantly easier to learn than something similar like a guitar or banjo. The ukulele also has a wonderful sound: the top string of the ukulele is standardly tuned up an octave higher, which gives it the signature happy island sound. 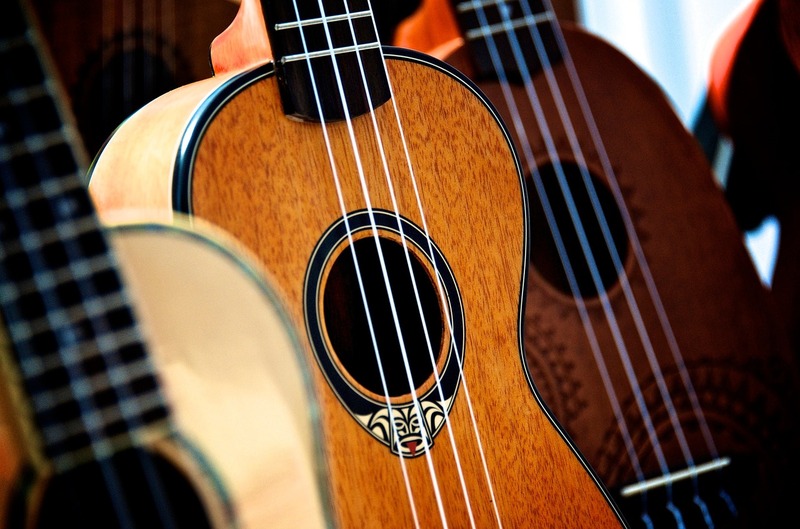 The size of a ukulele is another plus, the most popular size is the soprano, it is only about sixteen inches tall. This makes travel with a ukulele convenient, and because it is lightweight you can easily play standing up. The ukulele is wonderful if you are looking to learn how to play an instrument, whether it is to have a happy and calm place while making music or if it is just for fun! The ukulele is a happy instrument, and so playing it makes me happy. Have you considered picking up an instrument to relax? Do you play more than one instrument? If so, do you prefer one over the other for certain situations?